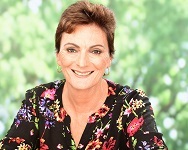 Kathryn Berryman is a Sydney based author whose love of history and mythology have led her to write her debut novel Erinland. 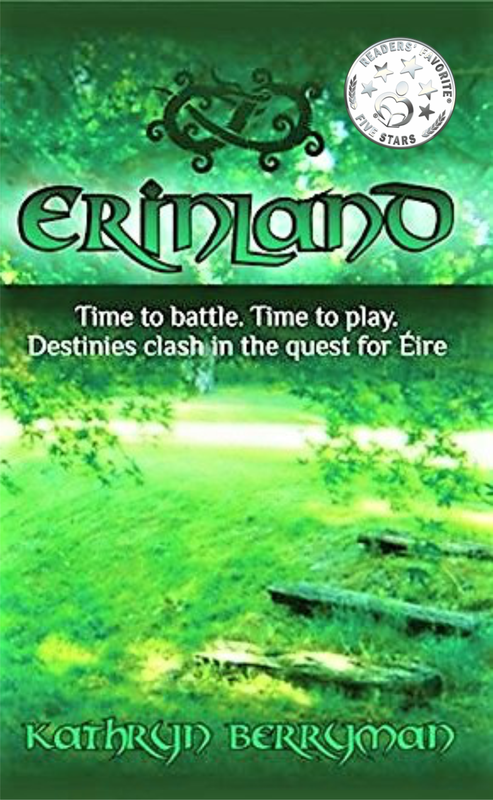 Erinland is a time travel adventure set in both contemporary Australia and in 9th century Ireland and packed full of historic detail. Tell us briefly about Erinland. Erinland is a virtual reality game (and world). 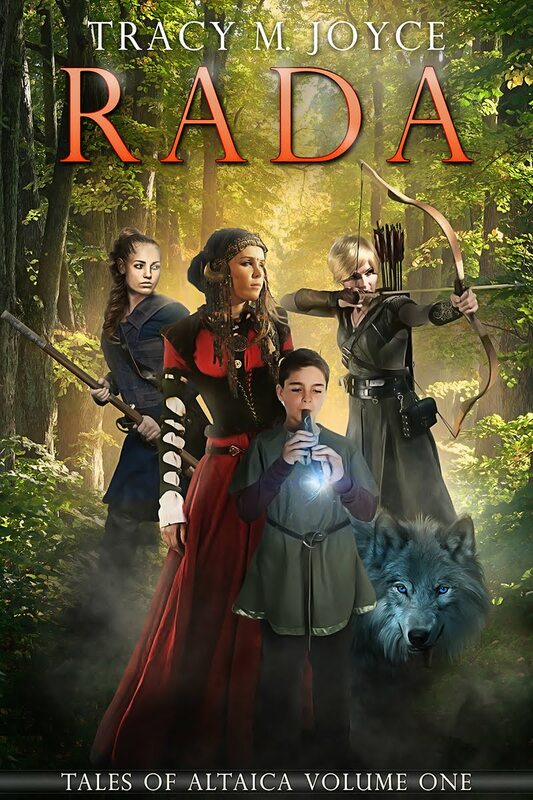 The novel spans the 21st Century and the Viking Age and centres on three main characters who, through the course of the story face many challenges. Amy, finding it difficult to ‘fit in’, becomes increasingly obsessed with the virtual reality game Erinland. The virtual reality characters and the mists of Erinland gradually invade her dreams and waking moments. 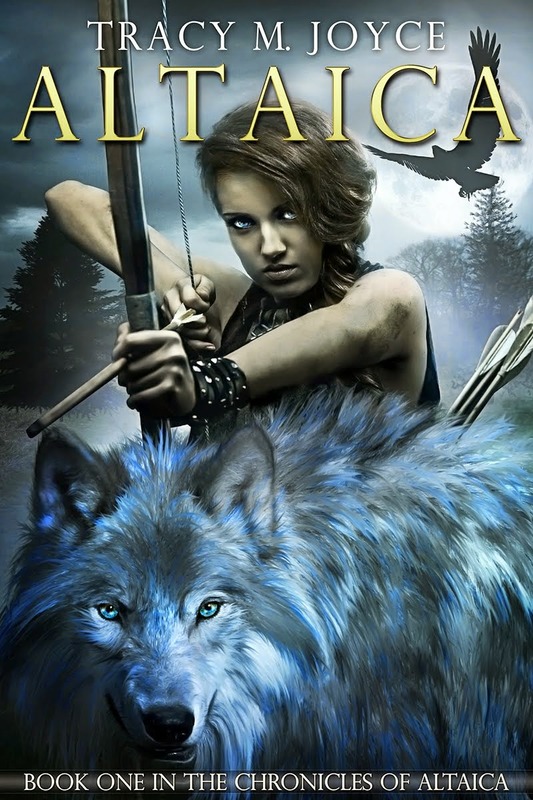 Her obsession with the game leads her to be drawn into 9th century Ireland (Erinland), where she becomes part of this magical world joining in the struggle to defeat the Viking raiders. Richard has a complicated home life and feels he doesn’t belong anywhere. Through a series of events he becomes homeless, desperate and living on the streets of Sydney. When Richard is brutally attacked and almost killed, he is dragged into 9th century Norway by a mystical Viking warrior. Richard finds acceptance with the Vikings and joins them on a colonisation raid to Ireland. Choices Amy and Richard make could mean the difference between life and death as the consequences of these decisions reach into their real lives. Aidan is a monk living in 9th Century Ireland (Erinland). His monastery is facing imminent attack from the Viking raiders. His Abbott charges him with a sacred mission to protect the precious relics and hide them from the marauders. 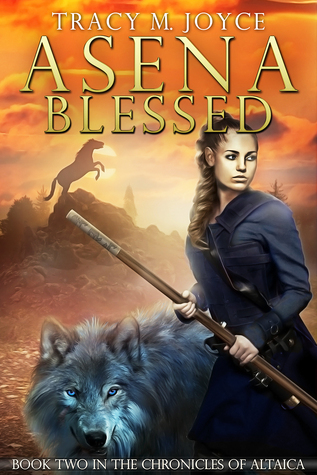 On his journey, Aidan meets many magical beings and his faith is tested. Erinland has taken a long time to see the light of day. 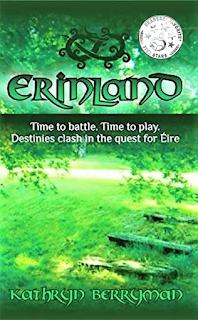 The seed for Erinland was sown when my husband and I travelled to Ireland, way back in 1992. We visited Dublin and Trinity College. During the visit to Trinity College I found myself drawn to one particular book – The Book of Kells. In those days the book was stored in a glass case, so visitors had to line up to view it. Every day a page of the book was turned to reveal a new treasure to the waiting, eager tourists. I was instantly drawn to the book’s primal beauty. To think that such an ancient book had even survived! The illuminated work fascinated me as did the intricate knot-work and colourful illustrations. Of course I had heard of The Book of Kells, but to actually witness it first-hand created a feeling of awe and respect. At the end of the day I recorded my reactions to the masterpiece in my travel journal. I had no idea that this experience and my hurried jottings would eventually lead me to write the fantasy novel, Erinland. Why the time-travel aspect? What made you go down that particular path? I have always been fascinated with the idea of time-travel. The notion of people going to a different time, being plonked into a situation and culture that is totally alien to them, and having to quickly adapt to that scenario tweaks my interest. In Erinland, the fact that the characters who are transported are teenagers, complete with emotional turmoil (and some very real problems), hopefully make the story line all the more interesting. Using a virtual reality game seemed to be the perfect vehicle to physically link 21st Century Amy to 9th Century Ireland. But, who knows? Maybe it’s a hang-over from watching one too many episodes of Doctor Who as a kid! Why not put the entire story in the 9th century? I wanted to play with the idea of ancient Norwegian and Irish mythology meeting the contemporary world in a head-on clash. I thought it would be interesting for Australian teenagers to be the main protagonists, to be totally out of their depth in a world that is beyond their wildest imaginings – just to be different. Were you always interested in Irish culture and myth? My maternal Grandfather was an Irishman from Galway who came to Australia in the late 1800’s and my maternal Grandmother’s family were Irish Australians, so I guess it’s in the DNA! Families have their stories to tell and our family was no different. There was a lot of story-telling around the dinner table and by the fire at night, stories about Grandad and Ireland, especially when the extended family got together. To be truthful, I think as a kid I often zoned out and fell asleep during these stories! Something must have filtered through because I was eager to visit Ireland and experience the magic of the place first-hand. Visiting Ireland awakened my interest in their myths and culture. There’s an enormous amount of detail in your depiction of what life may have been like in the 9th century for the Irish and the Vikings. Yes, there is a lot of detail in the world building of Erinland. In the first book I concentrated on ‘establishing’ Erinland, making the world as real as possible. In keeping with the virtual reality theme, the idea was to recreate 9th Century life in ancient Ireland and Norway, so that the reader could have an almost tactile experience, feeling as if they were almost part of the scene. In my mind the detail and imagery is necessary so that the characters are developed enough to become acclimatised to their new situation and roles. Were you already a bit of history buff or did you embark upon this project and have to a huge of amount of research? I don’t consider myself a history buff at all but I do enjoy reading historical stories that explore the cultures, myths and religions of people. Throw in a good fantasy plot-line and I’m hooked! Tell us a little about the breadth of your research. Sources? Time taken to research etc? I did loads of research for Erinland – to make the world authentic I had too. One bit of research led to another, so I ended up reading a lot more than I initially thought. I found the myths and legends of both the Irish and Viking peoples really interesting – it just took me ages to get my head around them. How did you conceive and develop the hybridisation of Christian and Irish myths? Interestingly, through my research I found that some Christian beliefs and Irish myths overlapped. There is even a school of thought that the goddess Brigid and St Brigid are one in the same person! The hybridisation came about because I wanted to include the ancient beliefs and the ‘newer’ Christian beliefs into the fabric of the story, with the ‘old faith’ and the ‘newer faith’ collaborating to protect their homeland. The book ends on a bit of a cliff-hanger. What can we expect in the next instalment? The sequel will be set mostly in the 21st Century, returning to Erinland when the need arises. There will be a few surprises and plot twists. Keep an eye out for the Erinland sequel in mid- 2018.